Here Is ‘e-commerce Newsletter’ PSD Template Design, This PSD Template For E-commerce Newsletter, Design Is Most Suited For Those Who Want A Fixed Width Design. 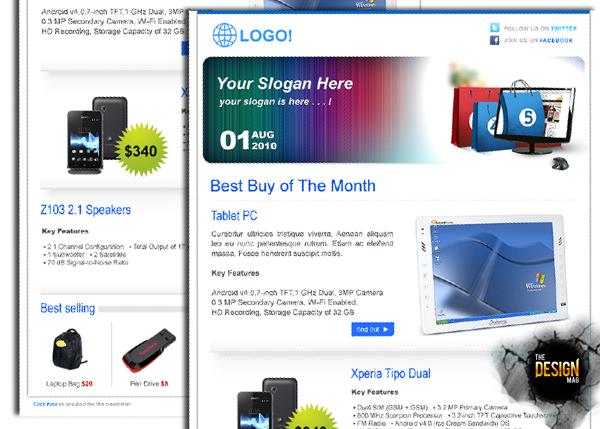 The Newsletter Has Been Designed To Use A Layout With One Column. You Can Use It For Both Your Private And Commercial Projects.